I know I write about anxiety a lot. I would be remiss if I did not spend some time talking about depression. Anxiety and depression often occur together. I have heard it said once that depression is feeling stuck; reminiscing about the past. Depression can often be filled with guilt and shame about past things that we have done or have happened to us. It is also said Anxiety is being stuck in the future, worrying about what will or won’t happen. Everyone feels down sometimes. So how do you know if this is simply a case of the passing blues or if it is depression? In society there is often times this sense of “why don’t they shake it off?” or “they need to pull themselves out of it”. Depression is that pit that feels so deep it is hard to see a way out. And if someone can’t see the way out then they may wonder why try? Motivation is gone. Energy is gone. Hope is gone. And it feels utterly lonely. This is depression. B. The symptoms cause clinically significant distress or impairment in social, occupational, or other important area of functioning. Depression can feel very lonely, like no one could understand. But it is actually estimated that 15% of the US population will struggle with depression at some point in their life. Depression can feel hopeless. But it is not. 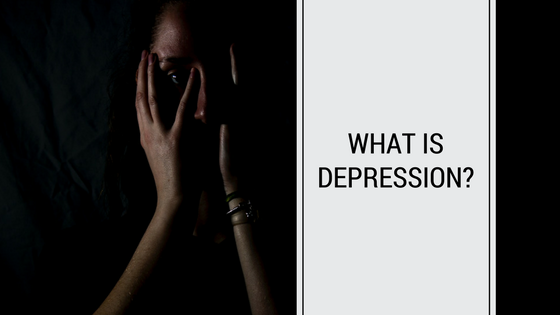 There are ways to live along side depression and manage symptoms in a way to live a full and thriving life. There are supports. Here is a depression hotline if you ever need to talk, any time of day or night: 1-800-273-TALK or you can call 1-800-784-2433. And if you are looking for therapy for depression in Charlotte. I would love to be that support for you! Give me a call at 704-912-1074 and we can see if we would be a good fit. If not, we will find you someone who is! Theresa Leskowat MS LPC is Founder and Owner of Clear Vista Counseling. Theresa provides depression and anxiety counseling in Charlotte, NC.